Imagine you could cover all outcomes in a match and make a profit no matter who wins. This is called sure betting, also known as sports arbitrage, surebets, arbitrage betting or arbitrage trading. Sure betting turns gambling into a solid investment method. RebelBetting users regularly make a profit of 10-20% per month – each and every month. Even beginners. 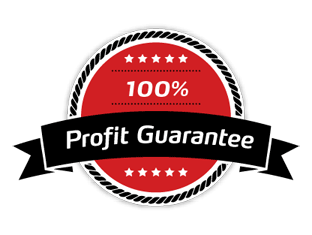 Try it yourself and get a 100% Profit Guarantee! Get free access to the e-book, the course, the software and more! RebelBetting has been reviewed as the world’s most popular sports arbitrage service, and our happy customers agree with the statement. Since RebelBetting was first launched back in 2008, more than +110,000 customers have successfully used the service. As the only bookie to welcome arbitrage action and not limit winning players, we’ve been working successfully with RebelBetting since 2009. The positive feedback we get from players, is testament to just how good their product is. The software is very well-built with the embedded browser, real-time updates, heaps of bookmakers, and built-in reliability measure, notification etc. It would take a very long time for me to list the features I like. You should be proud. I subscribed to RebelBetting 6 months ago. I’m so happy and satisfied with RB that I purchased another 6-month subscription. I like to thank you for your hard work and developing this awesome arbitrage program! I finally got time to check this out and the testimonials are exactly correct. I understand why your service is referred to as the Rolls-Royce of arbing. I’m literally sitting here and I can’t believe what I’m seeing. The best arbing software I have ever seen! Built for speed and ease of use, RebelBetting is the only service that guides you through the whole betting process. Our unique AutoSurf technology also helps you find the odds and place your bets within seconds. Start using the fastest, most user-friendly and most actively developed sure betting service on the market. At any given time, RebelBetting finds thousands of sure bets for you to bet on. Make 10-20% profit per month, and have fun while doing it! 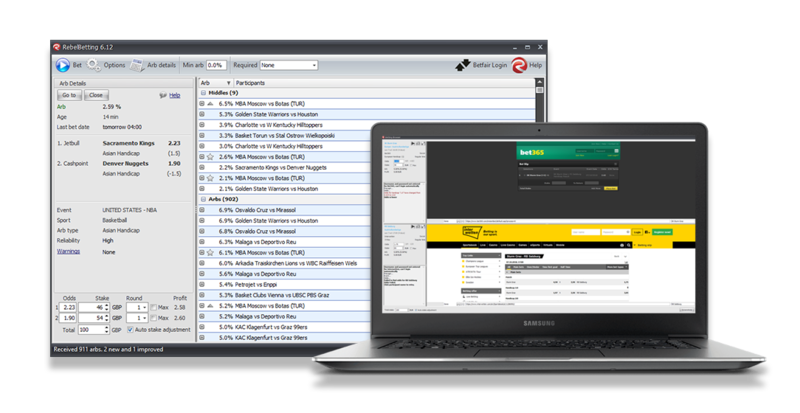 If you want a sure betting software and your total amount to invest is less than around €1500, we recommend RebelBetting Lite which is an affordable and user-friendly surebet software well suited for newcomers.